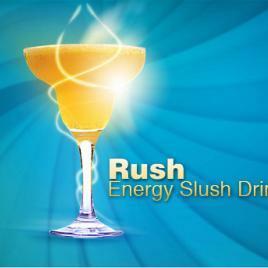 Specific mixing directions are printed on each half gallon bottle of the Bar mixes. 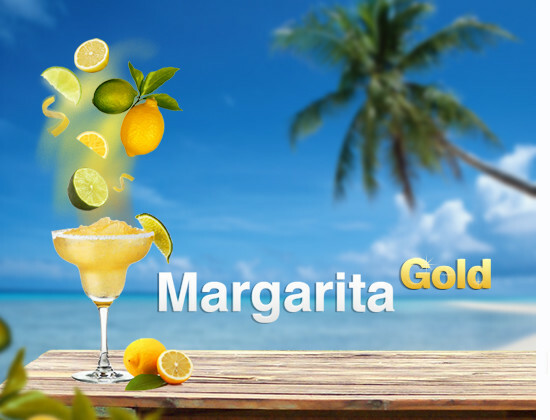 For an adult drink: 1 bottle of Margaritta Gold, 2 bottles of Tequila (1.75 liters), fill the rest with water to make 5 gallons, and mix well. 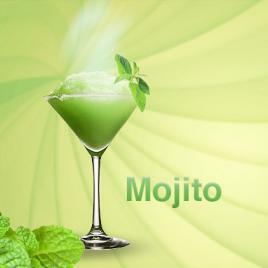 (7:1 means 1 part mix to 7 parts water. 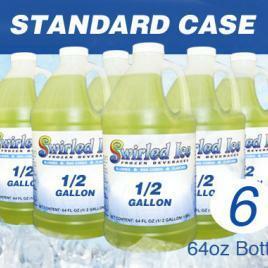 These bottles are 1/2 gallon sized bottles so 5 parts of water is 4.5 gallons NOT 7 gallons) so you would mix the bottle of concentrate with 4.5 gallons of water for the correct ratio. 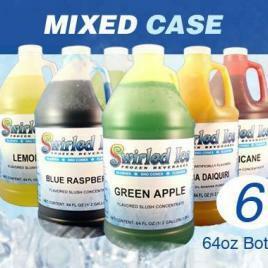 Each case contains six 1/2 gal (64oz) bottles of Swirled Ice frozen beverage concentrate mix.